What are RPO and RTO? RPO and RTO are terms commonly used for Disaster Recovery. 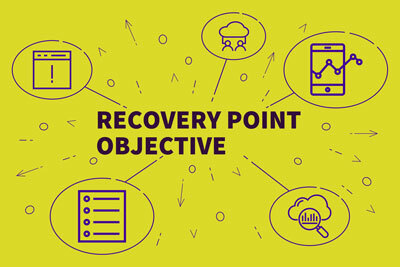 Recovery Point Objective is the amount of data you can afford to lose if a server had a failure. For example, if you back up your server once a night, your RPO could be 24 Hours if you replicate your server real time your RPO could be seconds. Recovery Time Objective is the time that it could take to get your systems back up and running after a failure.